There is no "magic button" product to prevent all odors associated with ostomy, but if you are looking for options, the guide below will help you make informed decisions about the best odor control products available to you. Bath & shower benches are functional bathroom safety furniture to make bathing safer and more comfortable for those with limited mobility due to recent surgery, age, illness or disabilities. 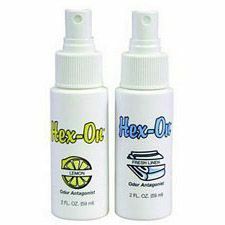 Nextra Health has many products to effectively prevent and eliminate ostomy odors. Excess gas build-up is a frequent occurrence with ostomy pouches. Without a filter, a pouch must be emptied (if it is drainable) or "burped" (if it is two-piece). If it is a one-piece closed pouch, it has to be removed entirely, which can severely limit the wear time. The other option is for the pouch to use an odor-reduction gas filter which makes releasing the gas safe, easy and convenient. Most pouches today will have an integrated odor-proof filter that allows for gas release that can be carefully controlled. For those that do not, an inexpensive filter can easily be applied to the pouch prior to wearing it. Easy to apply and remove, these charcoal filters help protect against ostomy odors and help to regulate how much intestinal gas is released from the pouch. Instructions included. 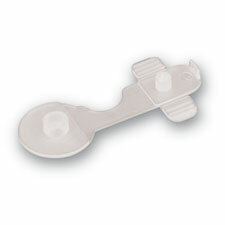 Easily fits to any ostomy pouch from any manufacturer. Releases air build-up quickly and easily, bonds permanently, and lasts for the lifetime of the pouch. 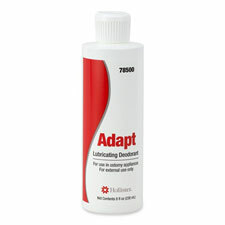 Easy to install and use, it is not affected by water and is also used on stoma caps and esophageal fistula pouches. 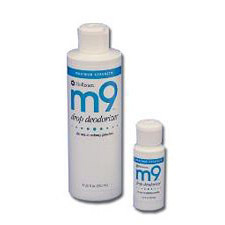 A few drops of these deodorants can be placed into a pouch to help eliminate odors associated with an ostomy. 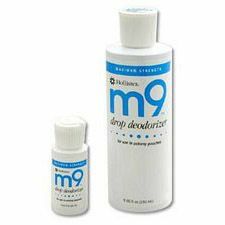 Effective, easy to use deodorizer that destroys odors in ostomy pouches. 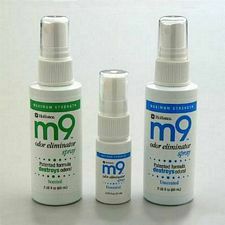 Adding a few drops of m9 deodorizer will eliminate pouch oders. 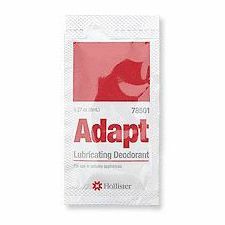 Not only helps eliminates pouch odors but also adds a lubrication to the inside of the pouch so it can be easily cleaned. 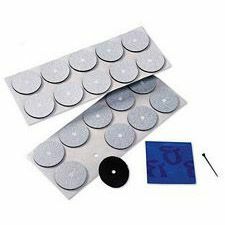 Comes in a convenient single-use packet for easy and portable application. 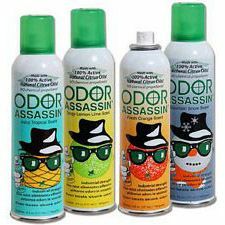 Our personal favorite odor eliminator (we use it in our offices at Nextra Health!). 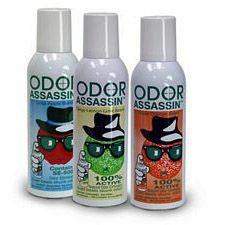 Odor Assassin contains a patented ingredient called SE-100 that goes to work to eliminate odors instantly. 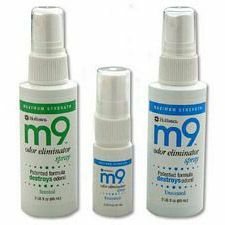 The concentrated formula means only 1-3 sprays are necessary to instantly remove 87% of all bathroom odors and replace it with a light citrus scent. This room deodorizer from Hollister is part of the m9 line of Ostomy odor-eliminating accessories. Comes in a convenient pump spray bottle. Quickly neutralizes airborne odors and replaces it with a mild fresh linen smell. Comes in a small, convenient 2 Oz. bottle. 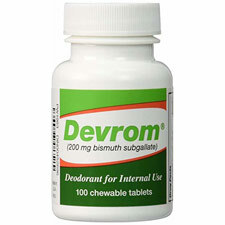 This unique product from Devrom is a chewable tablet taken after a meal. 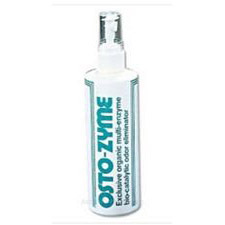 It contains 200mg bismuth subgallate which effectively works to lessens the odors produced by the body.